I gave this product out as favors and everyone loved them. Q:How long do these stay fresh for? A:This item, has a shelf life of 2-3 weeks. The shelf life for this item is 2 weeks. This item can only be shipped via 1-Day or 2-Day Shipping. Please note Tuesday deliveries will only be accepted with 1-Day Shipping service. Please select the $20 cooler fee for all orders being delivered between April 15th and September 30th. What's glamorously chic on the outside, yet sensuously sweet on the inside? 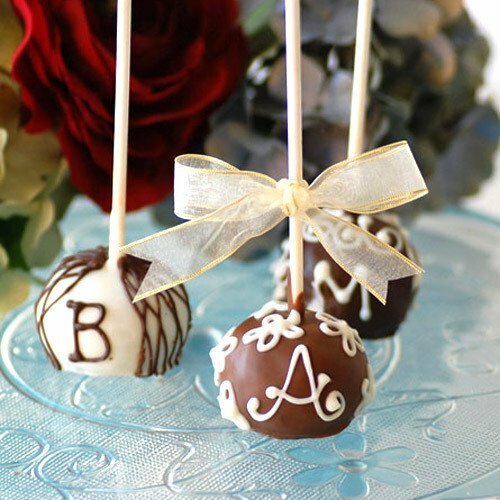 No, not the host/hostess–these monogrammed brownie favor pops! 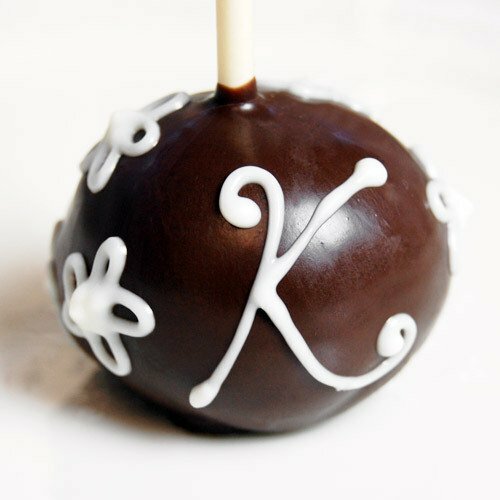 But the glam chocolate monogram is just the icing on the cake: at the center of each favor pop is a delicious fresh-baked brownie. 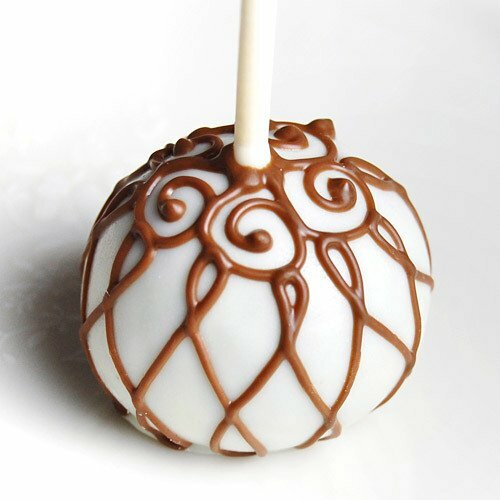 They're the perfect gourmet favor for any holiday party or graduation party. 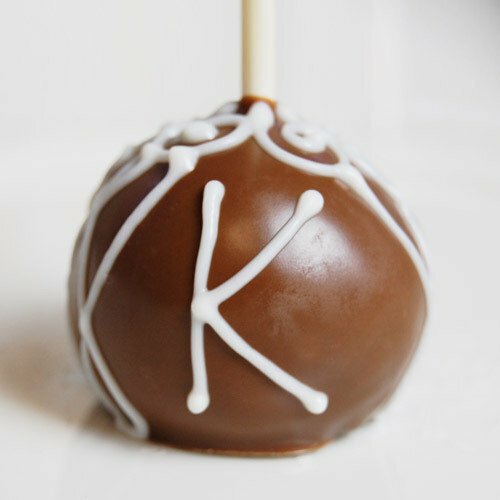 Each chocolate-covered brownie favor pop features a single initial in either milk, dark or white chocolate. Arrives individually wrapped in cellophane and tied with an organza bow. 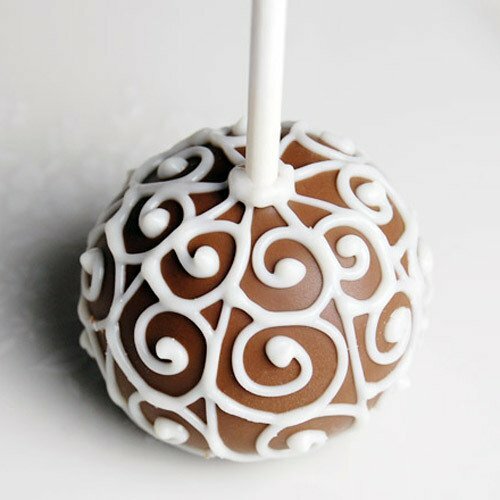 Measures approximately 1.75" diameter and 4.88" high (including the stick). 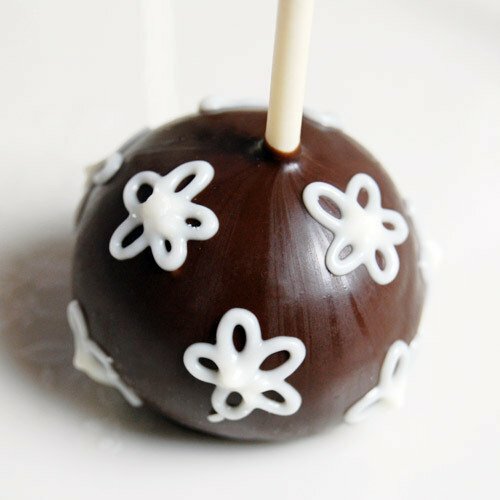 See our brownie favor pops in fall and winter holiday designs.